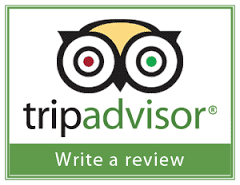 Get an exceptional zoo experience...! in animals encounter through a famous activity "Rhino Package" adventure program, and roam around in a most popular animal captivity Bali Safari-Marine Park. Let's feel an incredible zoo adventure experience through a perfect animal encounter program in "Rhino package". in a famous animal captivity which existed on the Island of thousand temples. also becomes a favourite preference by a large number of tourists from all over the world when enjoying Bali holiday packages. also will allow you in order to hold a close range meetings with animals from around the world. Ranging from adventure journey Tigers and Sumatran Elephants, till existence of Hippos in lake Manyara. to explore lives hundreds wildlife animals more than 60 species from entire world. 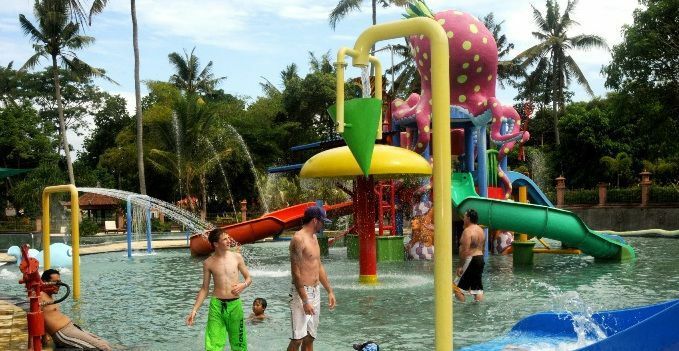 Supported with fascinating different types activities offered perfectly, in renowned place of Bali Safari and Marine Park. and will take you on an adventure through the habitats of Indonesia, India and Africa to see the riches of wildlife at a close range. which is a remarkable experience as the largest land mammal in the world. And ready will takes you on an exhilarating journey around an African themed environment. also to enjoy the opportunity of interacting with a number of other free-range African animals. Tsavo Lion Restaurant invites you to have a close encounter with real wildlife. so you will see a pride from king of jungle (lions) while enjoying a delectable cuisine. In Rhino activity, you also can meet the ferocious Piranhas on Fresh Water Aquarium. Design with an open space, and this is one kind of aquarium which has many collections of fish from Indonesia, South America and Africa. for a better understanding of these creatures and their natural habitats. as an essential introduction to the wonders of wildlife. Added, with a compelling story of the world's vanishing tiger population. the show will reveals to you about the native skills of these big cats at play, hunting, climbing and swimming. 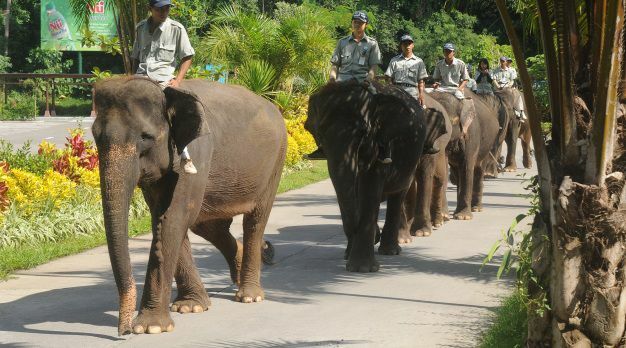 And the gentle giants also want to connect and tell their story to you through an Elephant Educational Show. 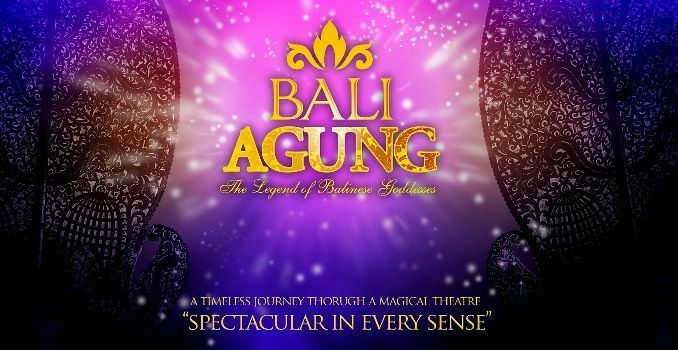 by featuring more than 180 Balinese dancers and musicians that are combined with a traditional and modern theatrical. or you can enjoy unlimited an array of amusement rides at Fun Zone to add to the excitement at your fun day out. And a lovely souvenir will complement your Rhino package adventure at Bali Safari and Marine Park. 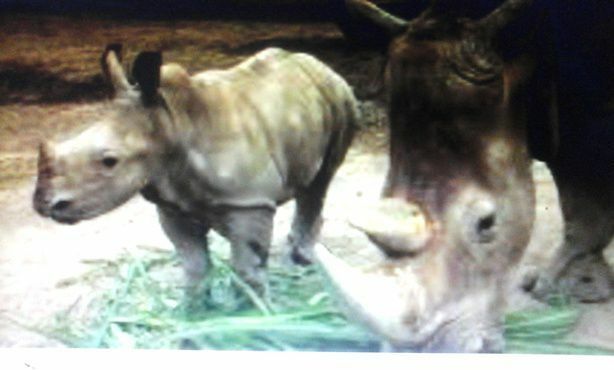 Rhino package is a top-ranked zoo tour program also will be a memorable adventure. And this adventure package is usually will spend time for a full-day tour within 9 to 10 hours. Rhino package is one of most extraordinary zoo program highly recommended by Sorga Bali Tours (Online organizer for holidays, Adventure packages and Bali tour service activities). For detailed Information and Booking Rhino package please "CONTACT US" Sorga Bali Tours (Best Bali Holiday Packages).